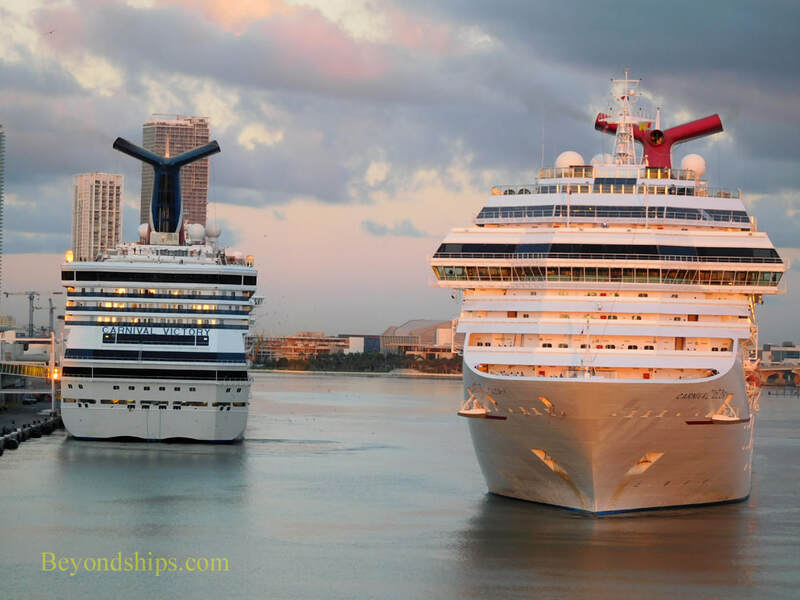 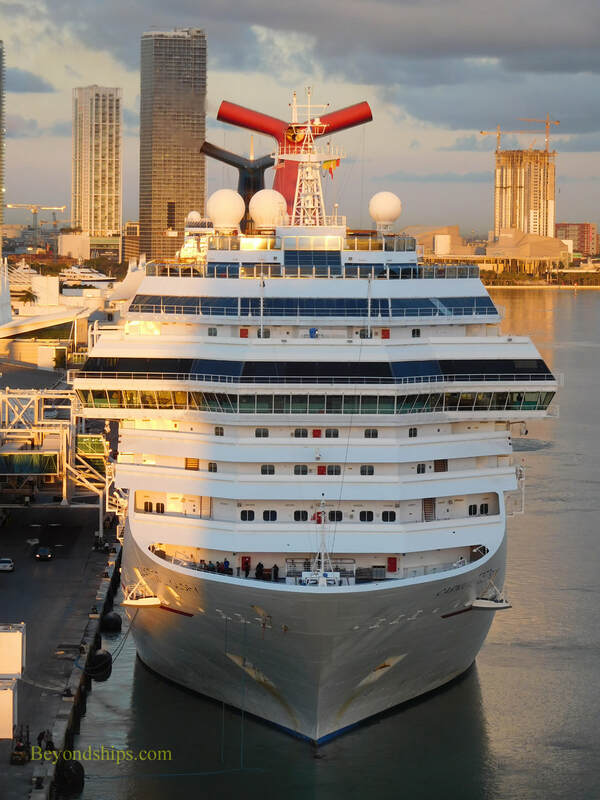 Carnival Glory is no stranger to Miami, having been homeported there for several years. 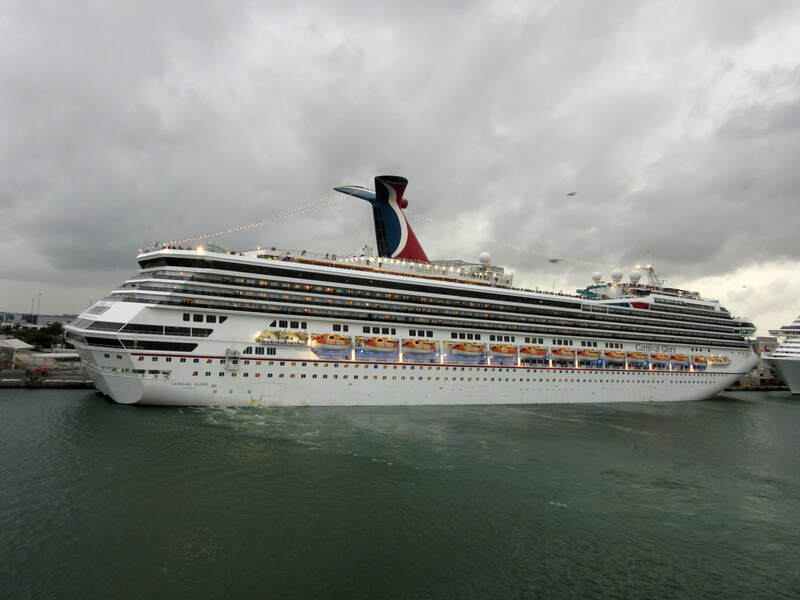 Here, she has turned around n the Main Turning Basin and is returning to the cruise port in the early morning. 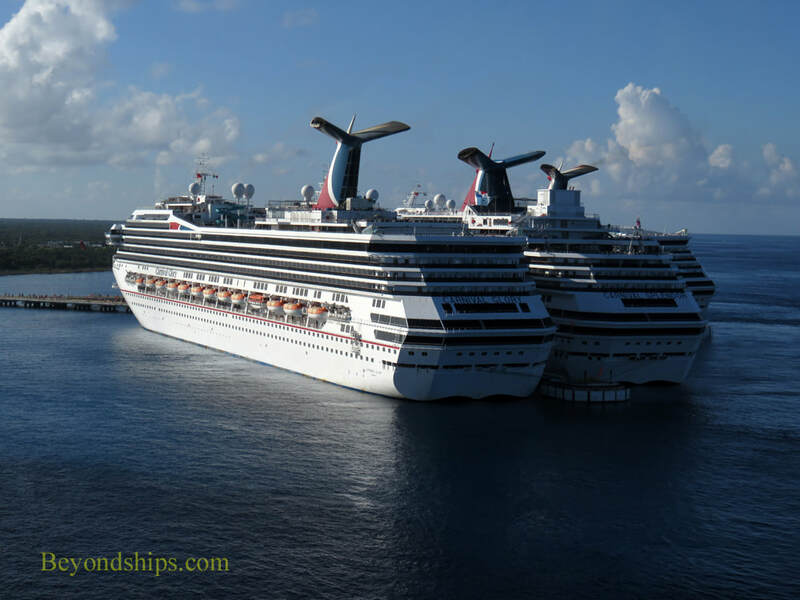 Above: Already in port is Carnival Victory. 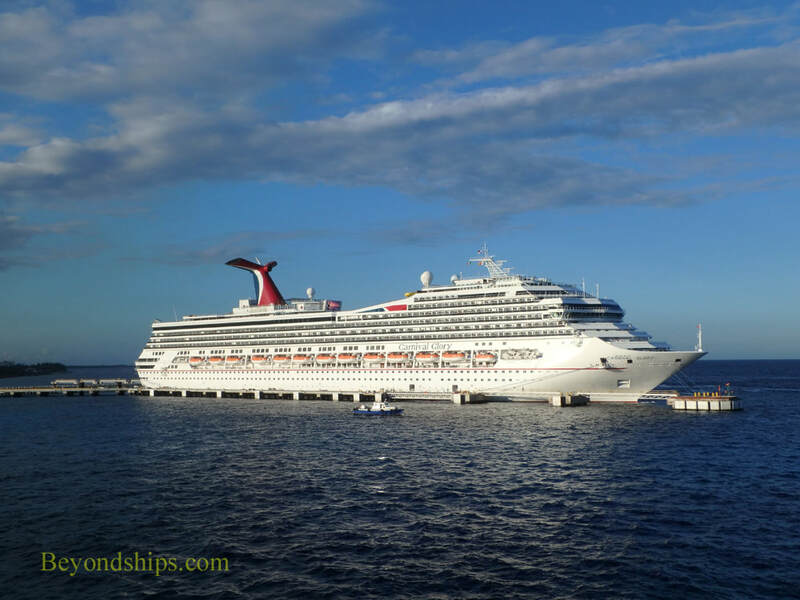 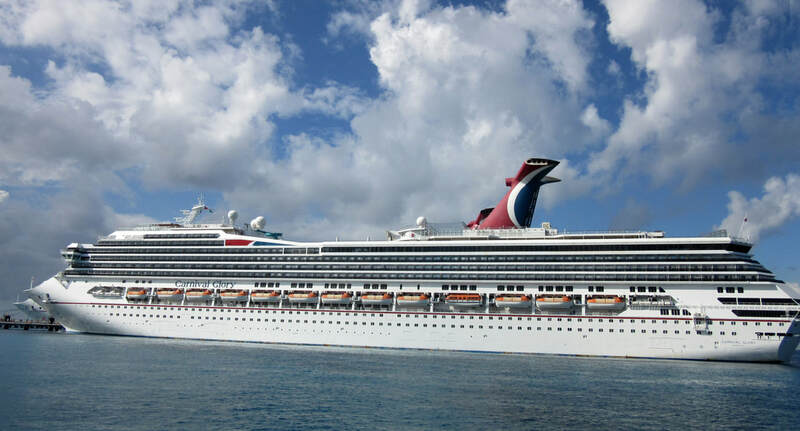 Carnival Glory is also a frequent visitor to Cozumel, the most popular port in the Western Caribbean. 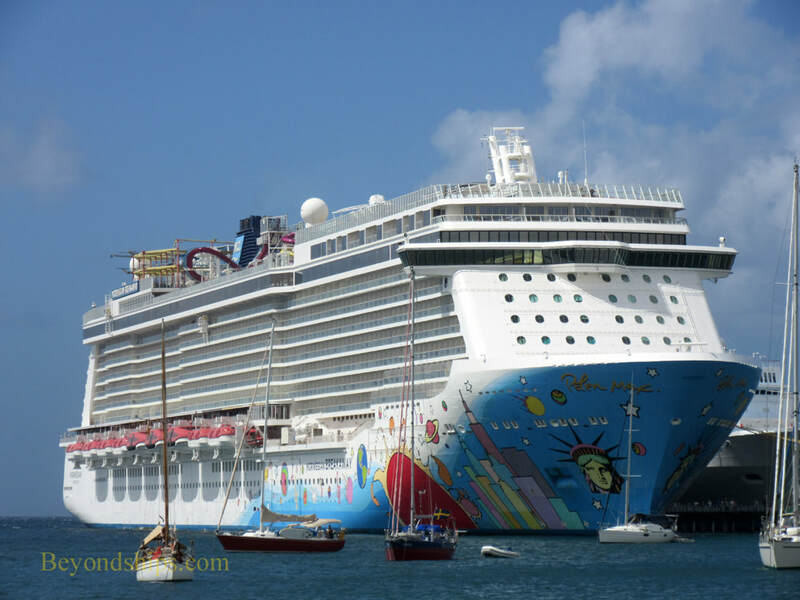 Here, she is at the Puerta Maya Cruise Terminal. 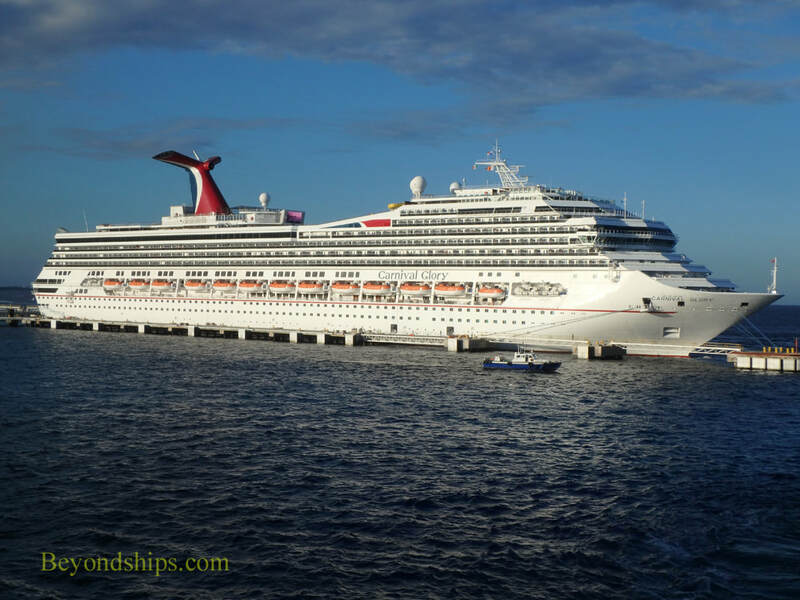 As seen below, she is not the only Carnival cruise ship that visits Cozumel. 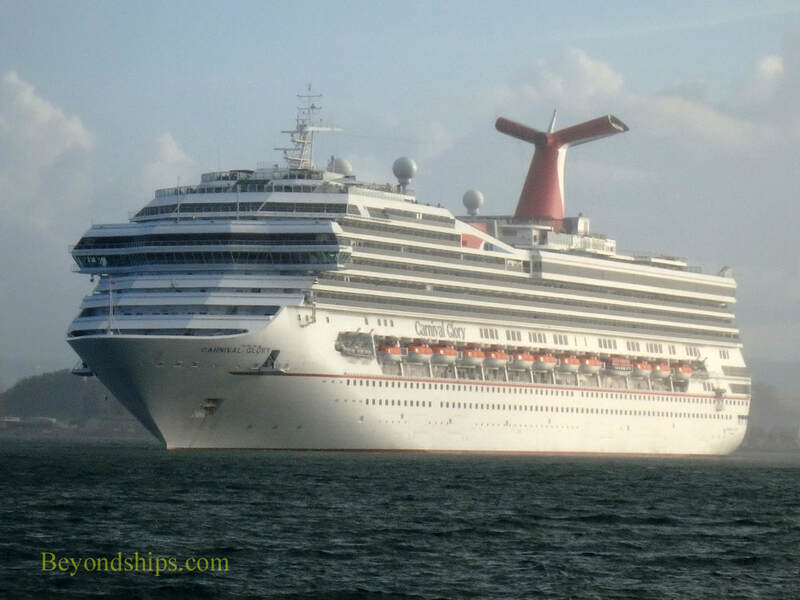 With her on this occasion were Carnival Splendor and Carnival Triumph. 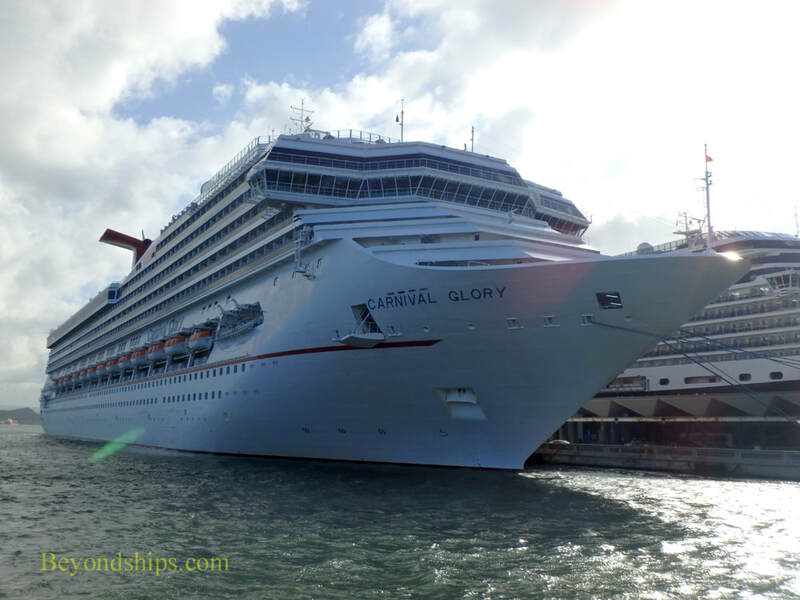 Another port that Carnival Glory has visited many times is San Juan Puerto Rico. 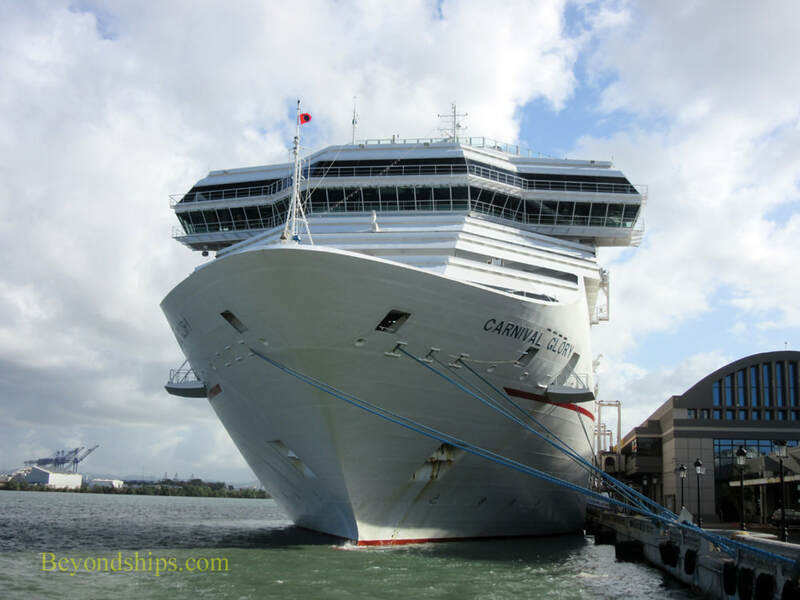 Here, we find Carnival Glory docked in front of Old San Juan following the 2017 hurricanes. 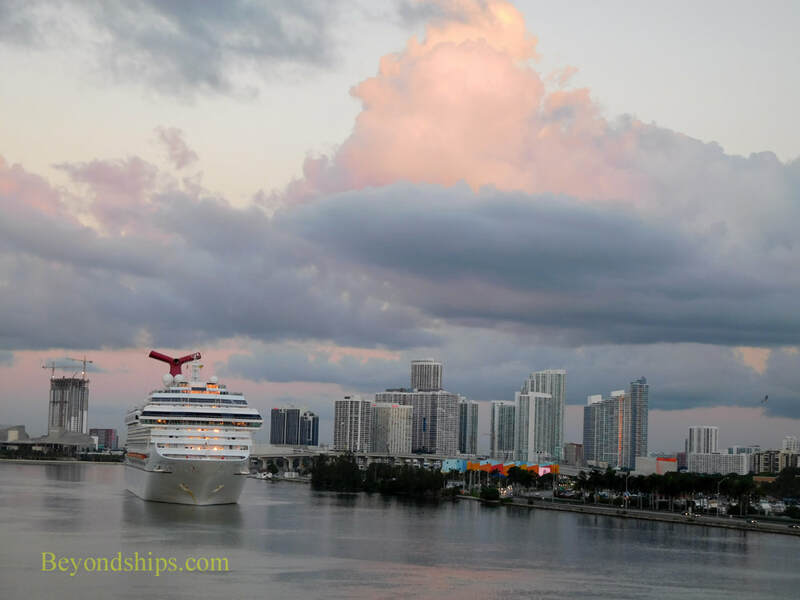 ​Above and in the video below: Carnival Glory departing from San Juan.